1. Mix all the ingredients in a large bowl and season with salt and pepper. 2. Put oil in a pan and fry the mixture. Spread evenly and cook both sides until golden brown, drain excess oil. 3. 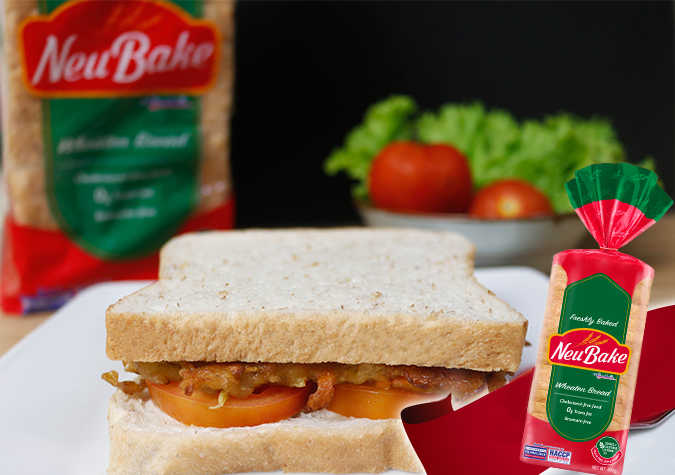 To make the sandwich, get 2 slices of NeuBake Wheaten Bread 480, spread mayonnaise and put tomato slices, followed by the pan friend veggie bean and finish of with another slice of bread. Serve while hot.